Installing an effective ventilation system is essential if you want to prevent damp and mould in the bathroom. HIB have a collection of sleek, modern and stylish extractor fans with functional appeal to the overall bathroom. The Turbo is a slim, flush mounted white fascia with a high powered inline fan. 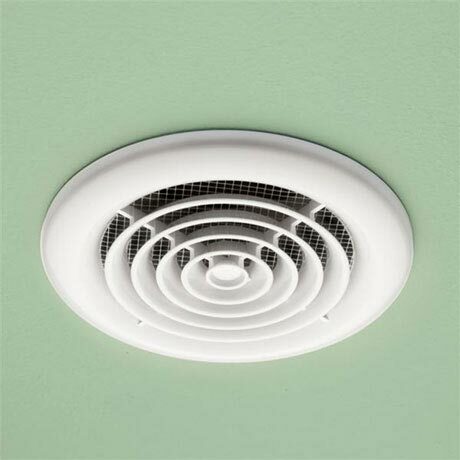 The inline fan is remotely sited within the loft space and is connected to the fascia and external wall grille by the supplied flexible ducting. Complete kit includes showerlight fascia, inline fan, 3 metre flexible ø10cm ducting, external fixed grille & steel hose clamps.